I guess at least Suzuka is willing to take her mask off when consuming food. It’s also good to know that Yukizane and her are really hitting it off. And for anyone curious what that thing in the first panel is, it’s Rapier Kamigawa’s very European shield, which will likely be more clear in a coming page. Why does a ninja have a broadsword and shield? I’m not totally sure, but it is a pretty diverse group of ninja, so why not, I say! AND APPARENTLY MGSV IS COMING OUT IN TWO DAYS!! I didn’t preorder it, but now I’m wondering if I should at the last minute. I have Ground Zeroes for PC, and I know some of that data can carry over to Phantom Pain. I’m pretty sure my PC could run the gamet, since it handles GZ just fine, but my poor PS4 spends most of its time collecting dust. Also, do I want to play this massive, life consuming game on the computer I work at everyday, or on my couch in front of my big TV? Too many first world problems, for sure. I’ll also be on vacation until Friday, so I won’t be touching the game until it’s been out for a bit. Nobody spoil anything for me, okay? Or at least no more than the trailers have already. PS. Have I mentioned how pumped I am to infiltrate bases will listening to Hall & Oates on cassette? I’m VERY pumped! It may end up being my favorite Metal Gear game for the soundtrack alone. That man could probably sell string bikinis to nuns. With most of the same words, even! Let her blade slide over the perpetrators throats while they sleep she means… But not bother to tell the members why their brothers are dying… just let them notice WHO dies and figure it out for themselves. It’s a cutthroat career path for sure. Pre-ordering video games is for suckers. It’s one of those rare industries where businesses can keep getting away with selling highly defective products. In recent years there have been several games with large hype trains and massive pre-order sales that have launched with huge game breaking bugs and flaws. Some were so bad that customers were demanding refunds and the devs/publishers agreed, admitting that they made a mistake and released the game before it was ready. Other companies have kept the sales money and left the broken games on the market. This is definitely why I don’t preorder. I just stick to a one year delay when it comes to purchasing big budget games! I’d say as long as you are guaranteed your money back if you are dissatisfied with the final product, or if it doesn’t meet the design document or any other documents that told you what you’re buying, pre-ordering is ok.
1. The developers make a formal promise the game will work without issues on my computer. 2. The developers publish a game design document detailing what the game will contain. 3. I can get a full refund if either 1. or 2. are not fulfilled. 4. Open beta or any other option to see the actual progress on the development is a huge factor in convincing me to actually pay. The only problem with pre-ordering is that some companies do it the wrong way. I’d say crowd funding is in many cases a kind of pre-ordering. I mean, you pay for stuff you’ll get in the future. Just because industry uses a term incorrectly, doesn’t mean the AAA style of pre-ordering is the only one. Since MGSV had a massively huge budget and may struggle to make a profit, I highly suspect we’ll get a GotY edition next year. I’m just such a huge Metal Gear fan, that in this particular instance I want to experience that game without having to wait a year, during which I’d likely get spoiled on major plot points. If I was given confirmation that a later version of the game would contain the extra (major) story and mission content that had been cut and apparently included as a cutscene video on a special preorder disc, I would just wait for that version. Alas, I didn’t get around to preordering the game, so I suspect I’ll end up getting the current vanilla version now, and then pick up whatever ‘complete’ version they release later because I’m a sucker who has purchased every MGS game multiple times (except MGS4, since there was only ever one version of that game). Man! First Yumiko revealed her face, and now so has Suzuka! Forget the priests, this right here is the start of the apocalypse! We’re still safe though as long as Ayane doesn’t put on pants. And she puts them… on her head! THIS IS MY THINKING CAP!! Technically Suzuka showed herself unmasked to Masuhiro, albeit under more private circumstances. He’ll be getting that Zora’s Sapphire and entering the Temple of Time in short order! also, please don’t kill me for that last sentence. Don’t stop not dying, Flaming Squirrel! I recently let a youtube playlist of all the MGS4 cutscenes run (sans youtuber commentary) while I worked, so I could refresh myself on that game’s explanation of what went down with Big Boss, Major Zero, and the Patriots. I’m very curious as to how much MGSV will show of the creation of The Patriots, since it would certainly fall into that timetable of their creation. At least I think it would? Unless the creation of the Patriots happened some time inbetween games, but that seems like a cop out. If they don’t bring up The Patriots at all, then I was be somewhat annoyed! But anyway, just watch all the cutscenes of all the games on youtube while you work on something else. It’s all mostly talking anyway! So how is a gaijin and a WOMAN at that head of a ninja clan…? That was a very deliberately stated sentiment from Suzuka, letting everyone know that the Izuma ninja clan will take in any old weirdo as long as their good at their job! We’ve also got high-tech assassins wandering around in ancient Japan. So I wouldn’t read too much into it. In the real world, once Japan started allowing foreign ships to dock in Nagasaki to trade a special red light district was set up just for gaijin. The whores there serviced foreign men exclusively. While precautions were taken to prevent pregnancies, nothing is fool-proof even today. If Suzuka’s mother was a prostitute in Nagasaki then her father could easily been a very blonde Dutch trader. In fact, depending on just how long the red light district may have existed in the NN4B reality, her grandmother could have gotten pregnant by a blonde Dutchman and produced a half-breed daughter who also became pregnant by a blonde Dutchman and produced Suzuka (3/4 Dutch in this scenario) who then decided she didn’t want to continue the family business and ran away to be an awesome ninja. Thus, we would get a kunoichi who looks foreign but who isn’t really. I’d add to this theory that it’s possible that the prostitute was already affiliated with the ninja. You know, spying on foreign traders sounds reasonable, right? It is certainly not unreasonable that a brothel or some of the prostitutes in a brothel could be associated with the ninja clan for purposes of spying. Eavesdropping on and manipulating conversations, going through their belongings when they’re distracted, even outright assassinations… there’s loads of things a ninja can do in a brothel, and loads of things they can learn, seduction being only the most obvious example, and apply to situations elsewhere. It would make perfect sense for a ninja clan to integrate their people into such establishments. In a somewhat related example, I don’t know if you watch Reign, but one of the last episodes in the second season involves the queen undermining an entire army by paying the whores to fake a plague and send the soldiers into a panic. Within minutes, the besieging army was thrown into a complete rout. Knowing people at the bottom can be every bit as useful as knowing people at the top. Female ninja would pose as prostitutes all the time for spying. But its not like you needed to be a whore to get info. You could simply hang out in a tavern or pose as a eta, gardener or somesuch. Not much of a theory. They wouldn’t like a half-breed woman in Japan…at least in a much more historical japan. Yeah, well, that would be why her choices in life were prostitute in the gaijin brothel or ninja: she could never hope to get legitimate work or marry as a mixed breed, but her blonde hair would appeal to foreign men who are homesick or as a ninja it really is the skills that matter and not your appearance (except for jobs involving seduction, in which case she could blacken her hair if necessary). She could NOT get a job as a ninja…they dont take gaijin. It’s a family/clan thing. 1. It’s a ninja clan lead by women (which was the case here until recently). Suggesting a matriarchy of sorts. 2. Her mother was high in the hierarchy in the clan. She’d be pretty much born into the clan, and despite being half-breed others would have to respect her, or else they’d face her mother’s wrath. 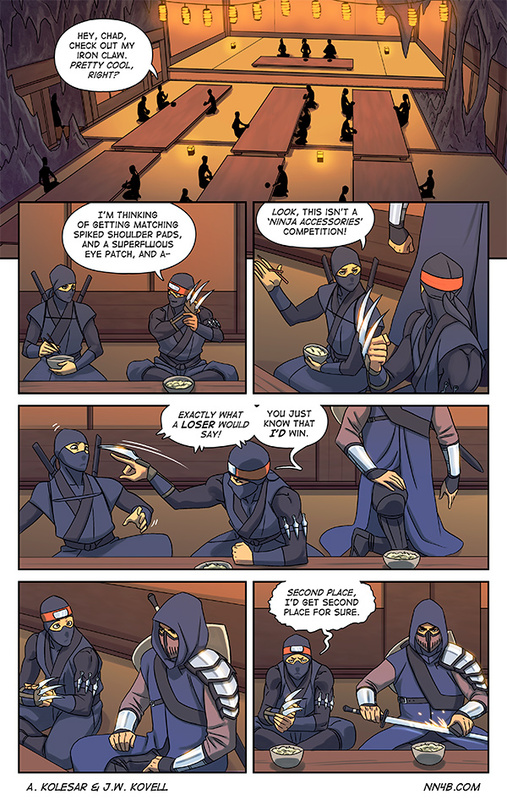 Considering the highly independent nature of the ninja clan, the clan leaders would have the final word (i.e. no outside influence). It’s pretty obvious she’d still have to earn other’s respect through her own accomplishments, but it’s clear she did. As it stands, she’s one of the most capable fighters in the clan, and also skilled enough to succeed at other missions, and a capable leader. Thus, allowing her to stay in the clan and attain the position of a leader was a good decision. It just seems likely that when the clan leaders were making the decision, they valued efficiency more than tradition. Doing unconventional things for efficiency’s sake is quite a defining characteristic of ninja. It’s worth noting that Yukizane’s still a subordinate to Suzuka, she’s just not afraid to take good advice when it’s given. Suzuka may feel a kinship to Yukizane in terms of shrewd tactical minds, but that doesn’t mean the other clan members would immediately decide to accept him as a new leader, especially since he has yet to prove himself! Uh, you seem to have missed the point of my explanation entirely: if my theory is correct she is NOT a gaijin, she just looks like one because her father (and possibly her grandfather as well) were gaijin who frequented a Nagasaki brothel. I’m all for this, let’s consider it officially endorsed unofficial Suzuka backstory. 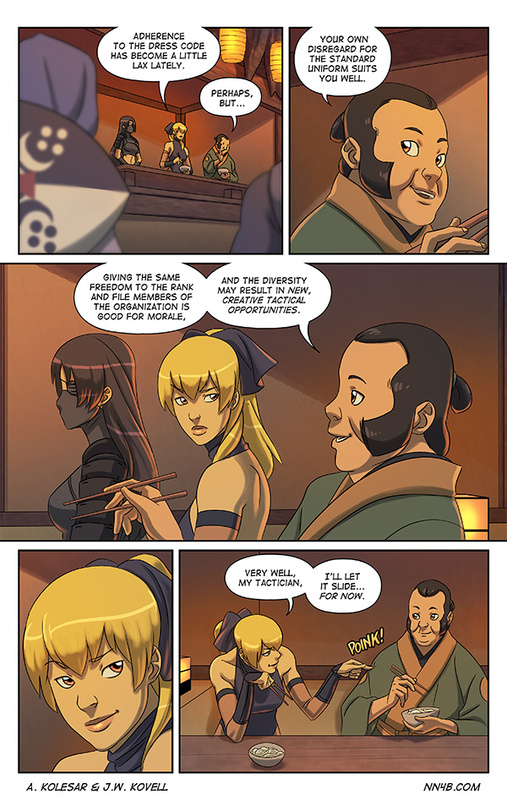 I actually figured she had some foreign blood in her, but was able to overcome come, or rather circumvent, prejudices by creating an honorless ninja clan based on skill and competency. She just got flooded with perhaps a few too many not-so-great recruits who now fill out the lower end of the command chain. If she had to start her clan from scratch due to being rejected by established clans, that would definitely explain the large percentage of substandard ninja. The explanation would totally involve her killing someone. Yukizane’s the kind of guy that will make a point, but you won’t get it until a few minutes later. 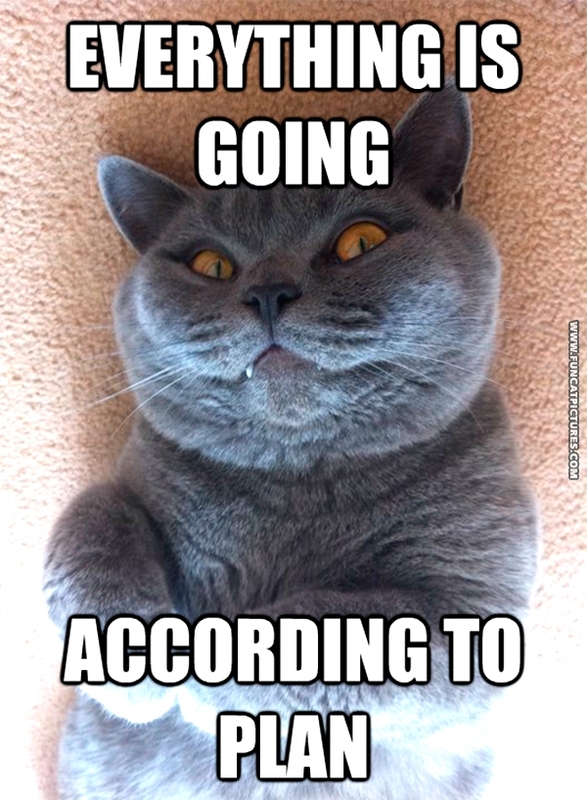 Oh, yeah….THAT’S what he meant! Fridge Brilliance, that’s our Yuki. Is it just me, or does it look a bit like a certain ninja woman is kinda starting to “like” a certain clever tactician? She’s certainly much more receptive than Mama Senshin. Uncle Smooth is a hell of a tactician. Well, Kamigawa could have acquired those from a target: if he had been hired to assassinate a foreigner who brought them with him or someone who had dealings with the foreigners and had them, then he could have stolen them either as part of a misdirect (make it look like a robbery), as part of his pay (if the patron didn’t have enough on their own but convinced the ninja to take the job anyway), or as a bonus (a really tricky job deserves hazard pay). I also posted a theory on why Suzuka could be Japanese and blonde . . .
Nn4b needs some elbino chacters! Do you mean albino (no pigment in skin, hair, eyes) or something else? So, does Suzi just have a thing for strategic badasses? She needs *someone* to play chess with. Smooth! Yukizane’s tactical skills seems to move beyond just board games and the battle field. I think it’s obvious why a ninja would carry European weapons and a shield. … so that when he fights, opponents will be too busy nitpicking, they’ll forget defending themselves! Don’t stop not dying, Yuki! Nobody expect ninjas in neon pink leotards. Just saying. Or spiffy red uniforms with cardinal hats. I didn’t expect it but I kind of want it now! Nobody expects the Ninja Inquisition! Our chief weapons are fear! I love this man, he is great.